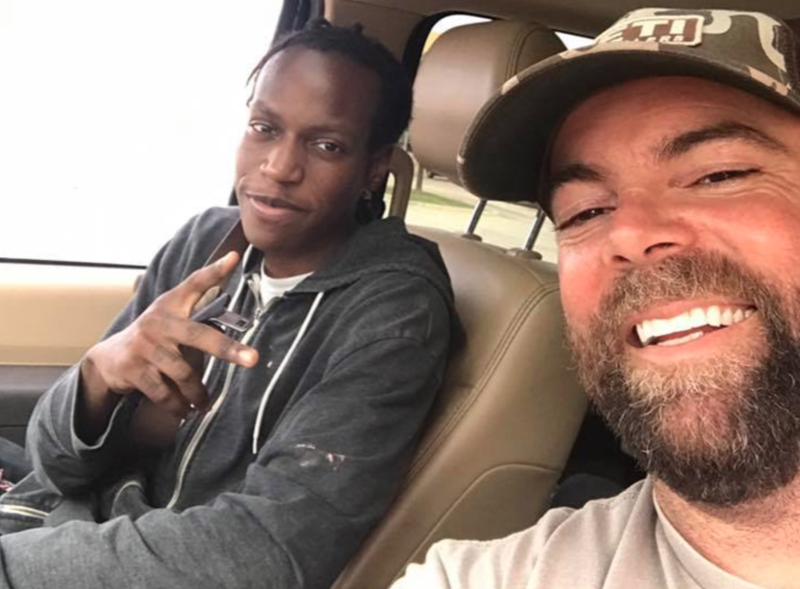 He rolled down his window and offered the man, a 20-year-old named Justin Korva, a ride -- not knowing how much that small gesture would impact the man's life. After dropping off Korva, Mitchell posted about the man's determination on Facebook. "To all the people that say they want to work but can't find a job or don't have a vehicle all I can say is you don't want it bad enough," Mitchell wrote. Hundreds of people in the community saw his post, including Samee Dowlatshahi, owner of Samee's Pizza Getti Italian Bistro & Lounge in Rockwell. In less than 48 hours, with some help from Mitchell, they'd raised more than $5,500. That's when Danny Rawls, general sales manager at Toyota of Rockwall and a friend of Dowlatshahi, heard Korva's inspiring story. "I presented it to my general manager and said, 'Hey, let's help the kid. It seems like a great story,'" Rawls told CBS News. "I sent [Dowlatshahi] a private message and said, 'Give me a call. I have a nice car that would work for the kid,'" Rawls explained. Not only did they have enough money to buy the car, they had enough left over to pay for his insurance for a year, plus two years' worth of oil changes and a $500 gas card. "Justin, you can't imagine all the people who wanted to help you," Mitchell said, as several people filmed the exchange on their cellphones in the restaurant parking lot. "So, instead of walking to work, buddy, you're driving this car from now on." Korva looked at Mitchell in disbelief, "Are you serious?" "It's your car! This is your car," Mitchell repeated. "We just want you to know, seriously, this community, nothing we love better than to have someone who works hard," Dowlatshahi said. "We take a lot of pride in that. It's so hot out here, I can't believe you walk even one mile in this heat." "Surreal" is the only word Rawls could use to describe the moment he watched Korva walk away with the keys. "He's a very humble young man and accepted it with stride," Rawls said. "There couldn't have been more of a deserving individual, for sure."